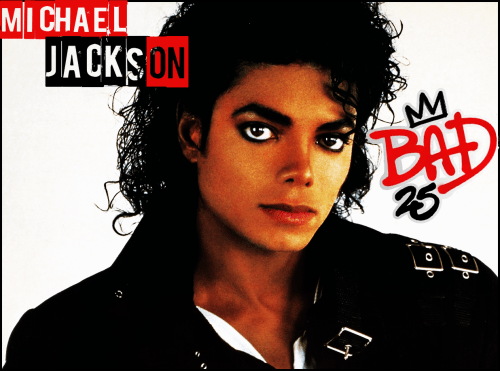 Michael Jackson’s Bad 25 Documentary: So Good! I thought I knew all things MJ until I watched Spike Lee’s Michael Jackson Bad25 documentary last night. It was wonderfully entertaining with exclusive footage and interviews from the people who took part of making the “Bad” record and short films. I’m forgetful, but not usually when it comes to MJ, so it was news to me that Whitney Houston was supposed to duet with Michael Jackson on “I Just Can’t Stop Loving You” but didn’t because her record label thought she’d be overexposed. I can only imagine how amazing that would’ve been. After watching this documentary, Michael’s friendship with Liza Minnelli now makes so much sense to me. Little did I realize how influential her parents were to his artistry. A while ago I posted the similarity between his 1995 “Dangerous” MTV performance with a Judy Garland performance. It turns out her husband, Vincent Minnelli’s inspired him as well. In the documentary they show how MJ’s “Smooth Criminal” paid homage to the movie Bandwagon’s “Girl Hunt” segment directed by Vincent Minnelli. Check it out. Spike Lee did such a great job on this documentary, I’m going to have to add it to my collection. Beyoncé backed out of starring in the movie remake of “A Star Is Born”. The singer is claiming conflicting schedules as the reason it’s impossible for her to work on the flick with director/actor Clint Eastwood. This will be the third version of this movie. The first “A Star Is Born” starred Judy Garland in 1937 and then Barbra Striesand in 1976.